I am just too excited about today’s post! Over the last two years, I’ve had the pleasure of becoming friends with Lauren Kapeluck of Crave. Indulge. Satisfy. Lauren is one of our talented contributors and she inspires us each month with her incredible cupcake recipes (Did you spot her Creamsicle Cupcake recipe yesterday? Oh my deliciousness!) I was over the moon for Lauren when she was expecting her first child… and I can hardly believe an entire year has flown by already. Now Lauren’s sweet little Sam has turned one. 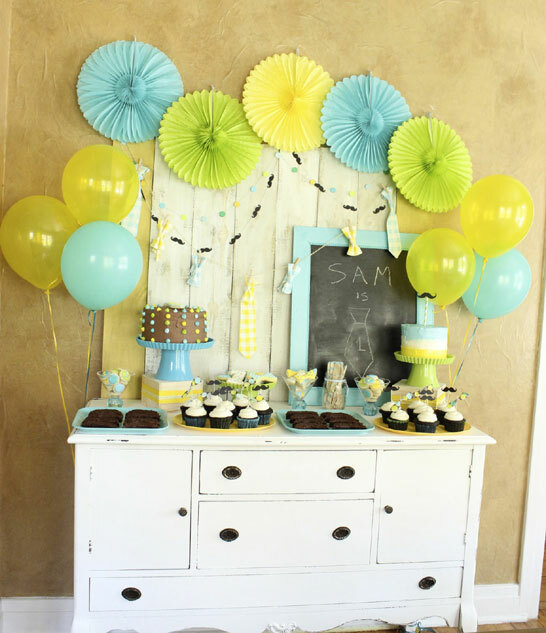 And knowing Lauren, there was no doubt that Sam’s 1st birthday party would be utterly adorable. 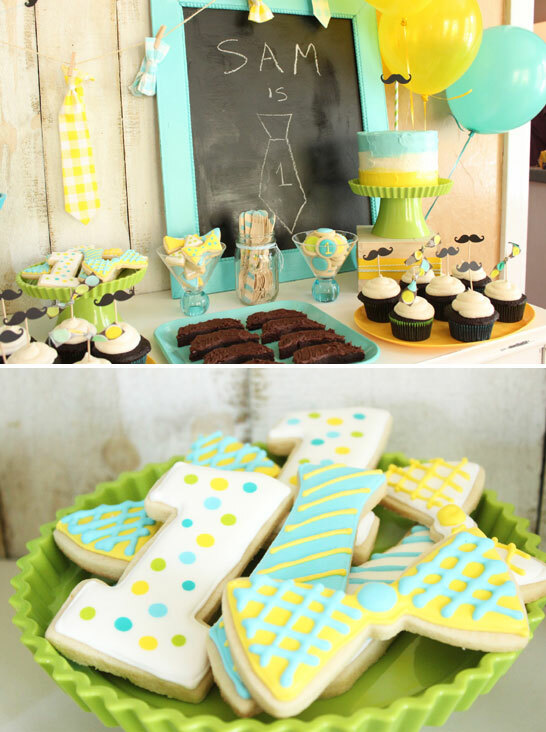 With a cheerful color scheme mixed with oodles of bowties and mustaches, this first birthday bash was beyond perfect for Lauren’s little guy. 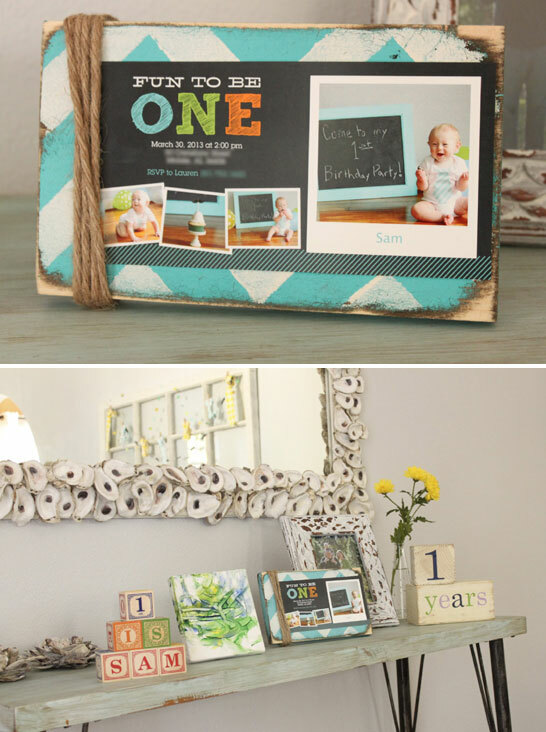 Prepare to be charmed by this Little Man 1st Birthday Party! 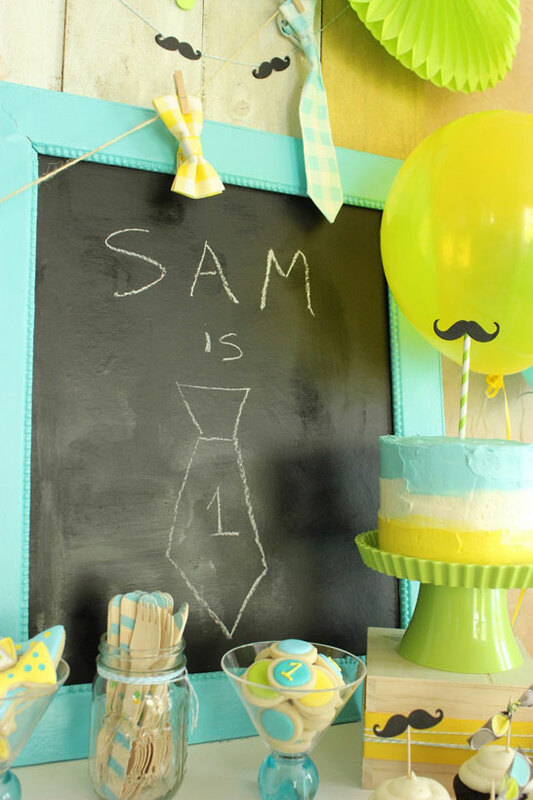 “For Sam’s 1st birthday party I decided to go with the “Tie/Bow Tie & Mustache Bash” theme. I wanted the decorations to be cheery and full of bright colors. 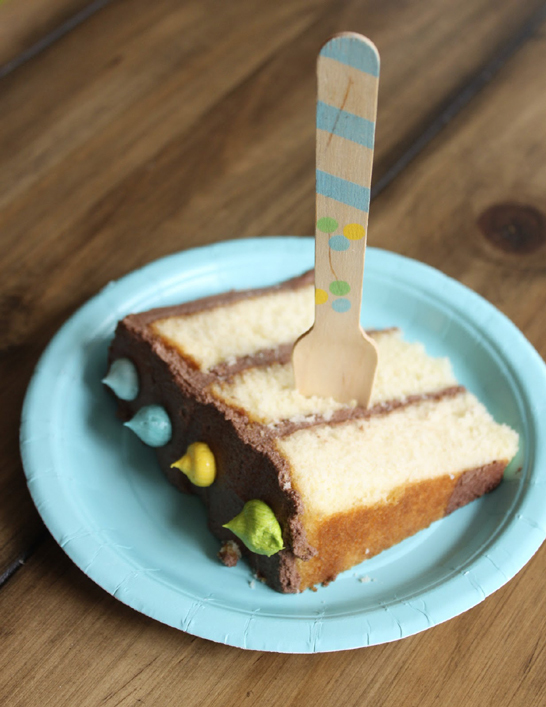 I found a fabric swatch early in the planning stages that was chocolate brown with shades of blue, yellow and green polka dots that I used for inspiration when gathering items for the party and decorating the sweets. 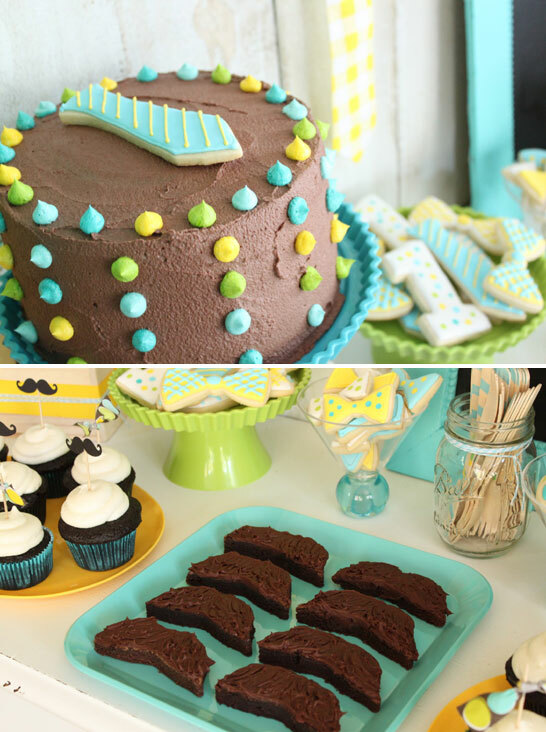 Since I love to bake I decided to do an assortment of goodies from mustache brownies, bow tie cookies, and cupcakes with mustache and fabric bow tie toppers. Sam’s smash cake was my favorite part of the dessert table. 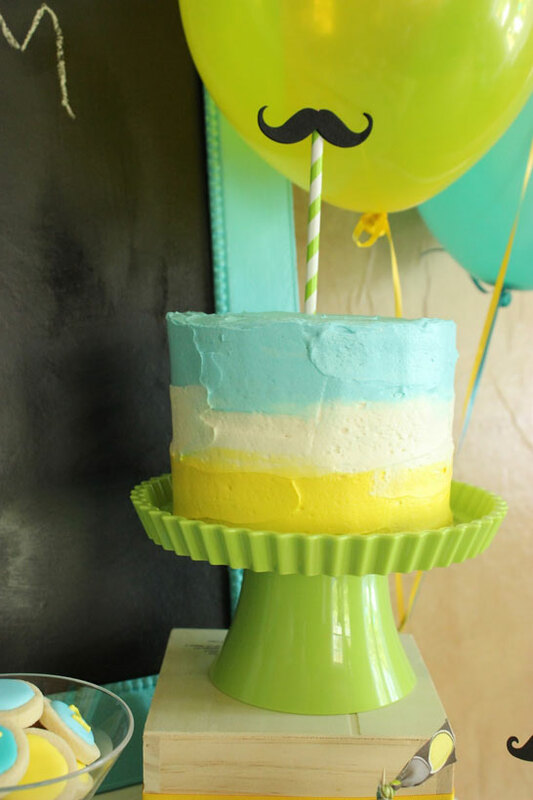 I used the pastel swirl technique which I first discovered from Sweetapolita’s blog and incorporated Sam’s party colors into the icing. 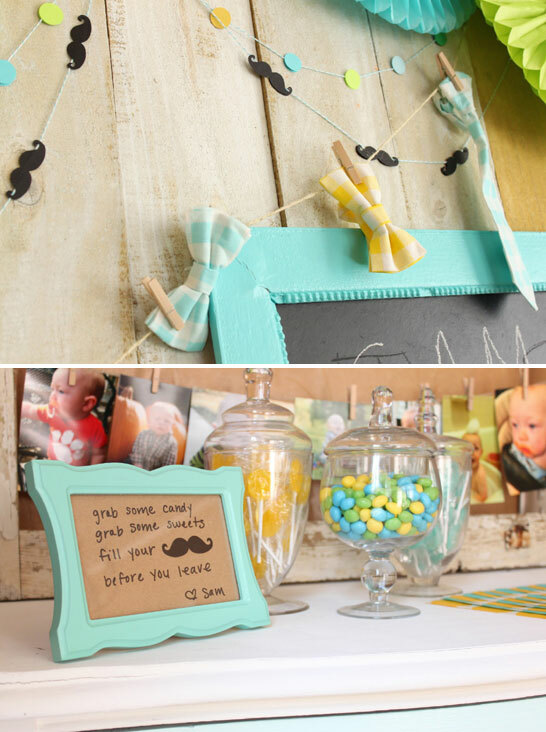 I made custom mustache and tie/bow tie garlands that were used as the back drop for the dessert table and throughout the party to carry on the theme. 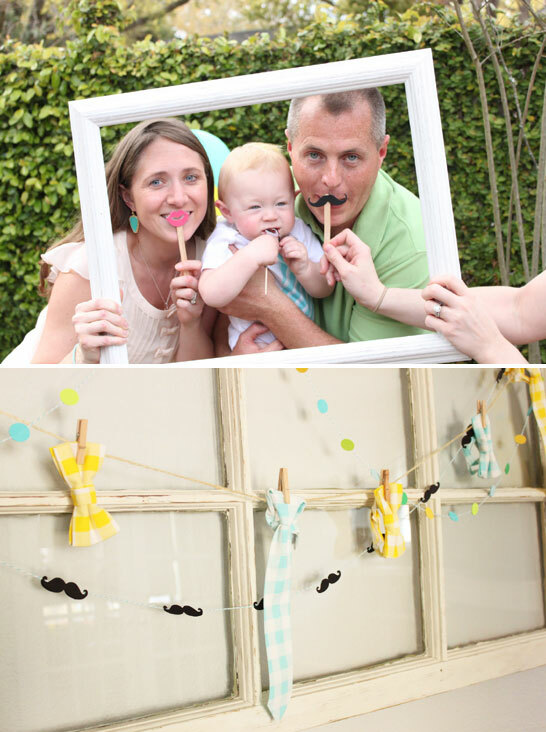 Guests even got in on the fun with a photo booth area we created in the backyard where they could be silly with mustache, lips and tie props. I hit the jackpot when I ran into Target one afternoon and came across the most adorable yellow and blue plaid ties & bow ties in the $1 bin! Let’s just say I did a happy dance the moment I found these because they just added that extra something special to the theme. In addition to using the ties as decorations we also gave them out as party favors. 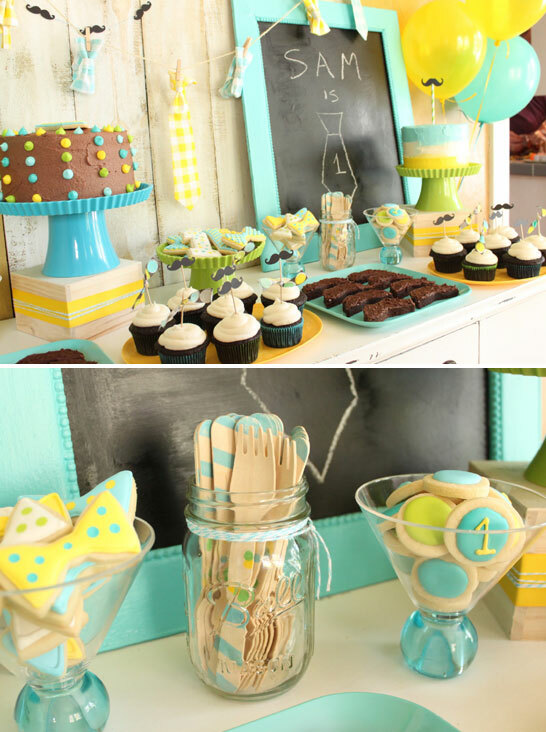 Cakes, Cupcakes, Brownies, Cookies & Dessert Styling: Crave. Indulge. Satisfy. Chalkboard Frame, 8 Pane Antique Window: DIY compliments of Sam’s daddy! Oh my, you really do go all out, Lauren. Can’t wait to see what’s to come in future years. This is really a cute idea. and dollar stores and the like are wonderful for such bargains. Cute party. I love the colors! Such a cute idea! I must ask … how did you create the invitation/twine/MDF?! I was hoping to make one for my son’s 1st b-day. enough peοple are speaking intelligentlү about. I am very happy tat Ӏ foiund this Ԁuring my search for something concerning this.